Two ducks walk into a bar…. I’d forgotten all about this shot and stumbled upon it again by accident – I just love it! 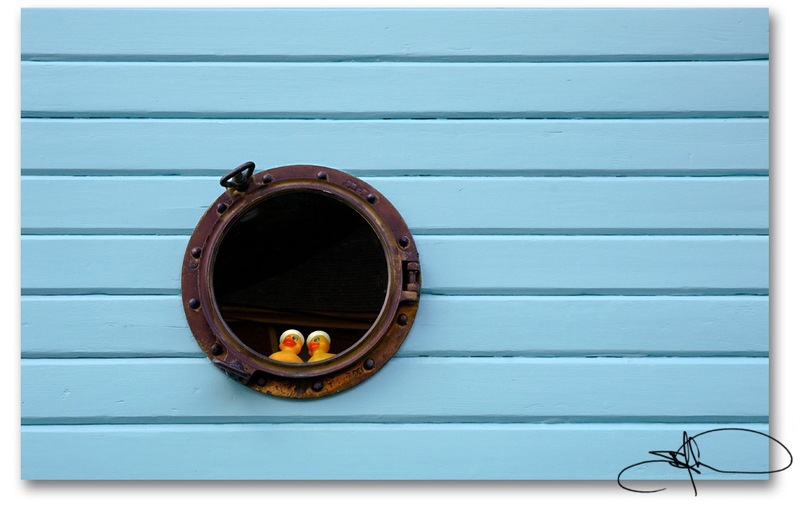 Somewhere on our planet these two little ducks sit in their porthole watching the world go by. The shot was taken in Skagway, Alaska. According to the http://www.Skagway.com, Skagway made it into the Guinness Book of World Records for Most People Tossing Eggs: 1162….take from that what you will!! I was there a few years ago (not to toss eggs) and these quirky little guys just caught my eye…hope they bring a smile to your face too. This entry was posted on Tuesday, June 29th, 2010 at 8:14 pm and is filed under Stuff. You can follow any responses to this entry through the RSS 2.0 feed. You can leave a response, or trackback from your own site. 5 Responses to Two ducks walk into a bar…. Good story Sandy…and a quirky little shot as well! haha this is cool Sandy!